dataPlor’s CEO and Founder, Geoffrey Michener, has been chosen as a speaker at East Meets West 2019.
dataplor’s achievements in Q3/ Q4 2018 have laid the foundations for Geoff’s talk. Recently, dataPlor has recruited and trained over thirty-five thousand “Explorers” in Mexico, who use a custom-built mobile platform to record business data. This data is then sold to companies including Google, American Express, and Lime Scooters, and a continuously growing list of clients. EMW is Hawaii’s premier startup event. The conference unites investors and entrepreneurs from Asia, Hawaii and North America. Key features of the conference include international speakers, hot topic breakout sessions, pitch opportunities, and networking events. The event will be held January 31 and February 1 in Honolulu. EMW 2019 will feature a startup showcase where vetted deals sourced from regional accelerators based in the U.S. and Asia will present pitches to investors. Speakers and conference participants include both Asian-based startups looking to enter the U.S. markets and U.S. based startups looking to enter the Asian markets. 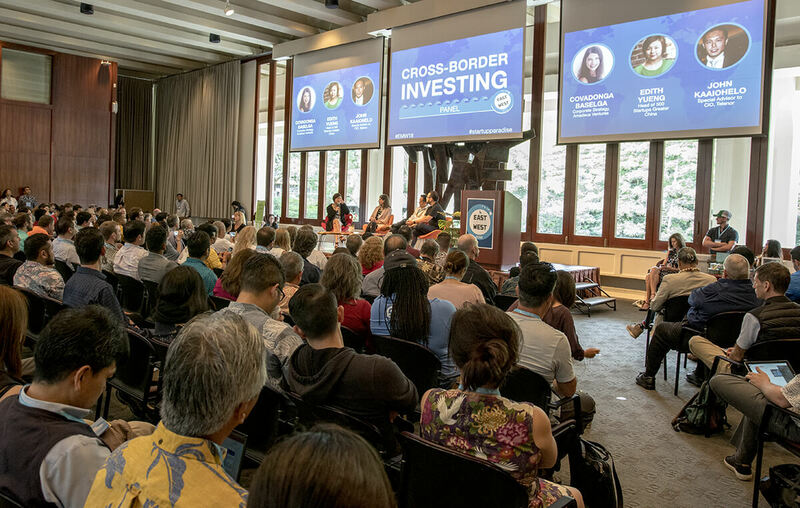 2019 marks Blue Startups’ fifth annual East Meets West summit and conference. This year’s key themes include: women investing in women, influencers and startups, sustainability and Hawaii’s leadership role, and “where innovation is coming from”. “This year’s conference is really focused on providing tangible and actionable advice for any entrepreneur with global ambition,” said Henk Rogers, founder of Blue Startups. Other keynote speakers include important local entrepreneurs, high-caliber investors and tech titans. Entrepreneurs will learn from key players in tech that have conquered global markets and discuss the potential challenges of entering new markets, receiving foreign investment and tips on remaining competitive in an increasingly globalized and interconnected marketplace. dataPlor is a rapidly growing data intelligence firm. Utilizing a global network of on-demand workers, field-ready technology, and machine learning, the company has built the only multi-verified emerging market database on the market. Their model allows clients to customize their own data collection requirements. Nearly 80% of dataPlor’s listings don’t appear on leading search engines. dataPlor’s information can enhance companies’ existing business intelligence on emerging markets, strengthen brand recognition capabilities, and provide a wide array of custom, flexible projects. In addition, dataPlor helps small businesses in developing communities by putting them on the map. Our data is ethically sourced, collected by our highly trained, well-paid “Explorers” whose privacy is our top priority. dataPlor invites summit attendees, journalists, and potential clients to visit us to learn more about the difference that high-quality, verified business data can make in emerging markets.